The Movement said the arrested members are going to be charged to court for terrorism. In a statement by the President of the Media Forum of the movement, Ibrahim Musa, IMN dismissed any attempt to link the Islamic Movement in Nigeria to acts of terrorism, saying the philosophy and ideology of Shia abhors bloodshed. “This justifies why there is no single Shia group that is in any way linked to terrorism across the world and we are not an exception. Terrorism is not in our character and will never be,” it stated. According to Mr. Musa, sequel to the recent brutal clampdown on its members by a joint security force made up of Police and Army in Abuja from 27th of October 2018 to 30th of October 2018, at least forty-eight of our members died. 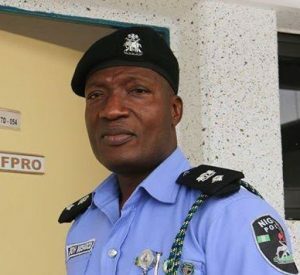 It said the statement signed by Police Spokesman Jimoh Moshood issued to the public on 30th of October, 2018 made every effort to demonize the Movement. “We hereby categorically dismiss any attempt to link the Islamic Movement in Nigeria to acts of terrorism. It is pertinent to note that the philosophy and ideology of Shia abhors bloodshed. “You may recall a statement issued by the movement on the 29th of October 2018 and signed by the President of the Media Forum of the Movement Mr. Ibrahim Musa, we made it categorically clear that there is a plot use the Arbaeen to intimidate and implicate the movement. The Islamic Movement in Nigeria hereby dissociates itself from the deliberate mischief and narration of impounding petrol bombs and burning police vehicle. “This is the plot of the security agents and those instructing them from behind the scene in order to blackmail the movement,” it further stated. It reminded the Nigeria Police of Nigerians’ constitutional right to practice their religion or belief, assemble, express ourselves and protest as enshrined in Article 38 of the Constitution of the Federal Republic of Nigeria on Freedom of Religion and cannot therefore be denied with the scare of mischievously placing the movement on RED ALERT. “We hereby call on the general public not to be deceived by the false allegations and executive lies being spread with the intention of blackmailing the peaceful movement and depicting it as violent even without any traces of violence in it’s almost 40 years of existence,” it added.